Constructed in 1908, at the turn of the century, Fairview is one of the few architecturally designed houses of the period remaining in the city. 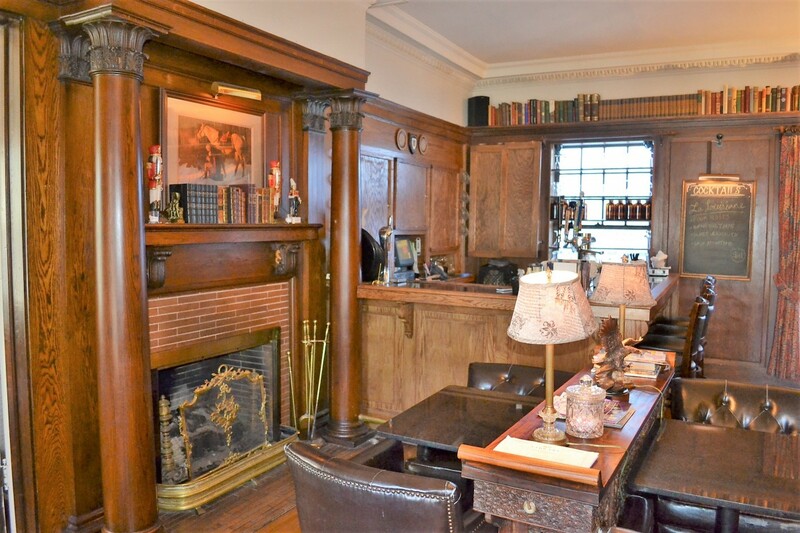 It was built for Cyrus C. Warren, vice president of the Warren-Goodwin Lumber Company, and was designed by the Chicago architectural firm of Spencer and Powers. 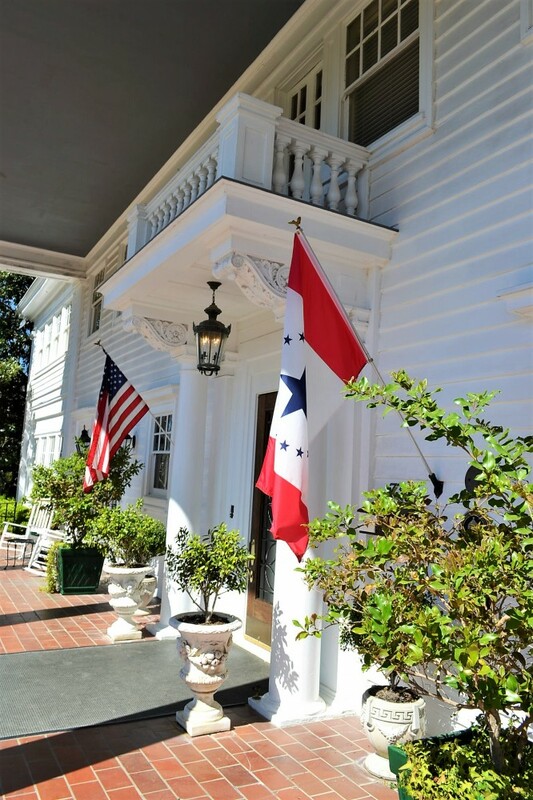 Both the main house, whose front entrance faces Fairview Street and is supported by modified Corinthian columns, and the carriage house facing Oakwood Street, are Colonial Revival, a style associated with the formality and elegance of Southern tradition. 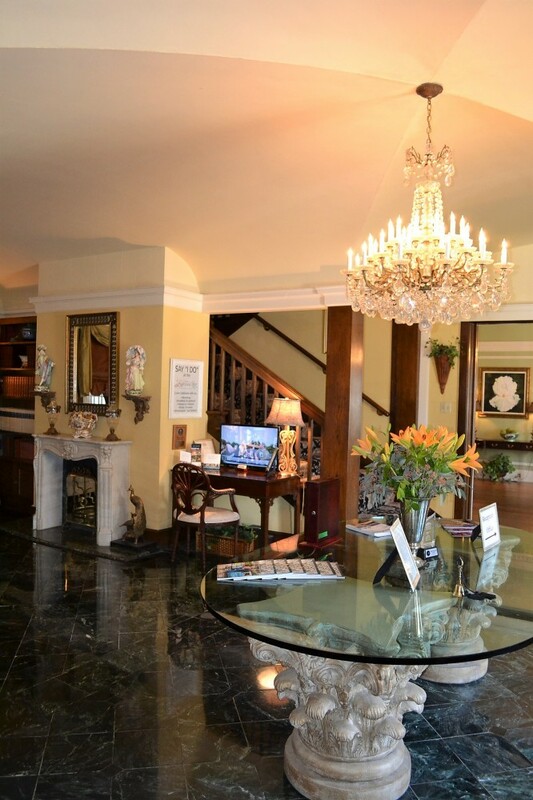 The property was purchased in 1913 by Felix Gunter, president of the Jackson Board of Trade (forerunner of the Jackson Chamber of Commerce), and then by W.E. Guild, treasurer of the Finkbine Lumber Company, in 1921. The Guilds remodeled the house, employing the original architectural firm, by then known as Spencer, Powers and Martin. Mr. Guild also employed landscape architects Muskopf and Irish of St. Louis, Missouri to develop the grounds. The result combined the formally planned gardens of the French landscape tradition with the park-like atmosphere more typical of the English taste in landscape design. In the remodeling, the east and west wings and the north wing were raised to two stories, a number of interior changes were made, and the carriage house was converted into a combination garage and servant quarters. These changes left the oak-paneled library as the only room in the house in its original 1908 form. In 1930, Fairview was purchased by D.C. Simmons. D.C. Simmons, associated for many years with Deposit Guaranty Bank and Trust Company and the Mississippi Baptist Hospital’s Board of Trustees, lived in the house until his death in 1964, and his widow, Annie Belle Ferguson Simmons, continued to live in the house until her death in 1972. Their son, William J. Simmons, purchased the property from his parents’ estate in 1972. 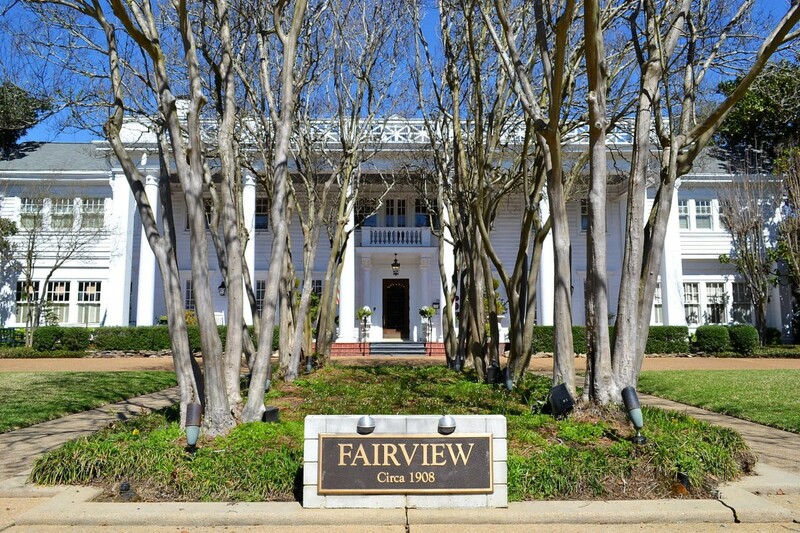 In recognition of its architectural character, Fairview was placed on the National Register of Historic Places in 1979. In 1986, a long enclosed Florida, or garden room, was built to connect the Carriage House with the main house. In the spring of 1993, it was learned through correspondence with an architectural historian at the University of Illinois at Urbana-Champaign, that Robert Closson Spencer, Jr., who designed Fairview, was an associate of Frank Lloyd Wright, and that Fairview is his only known example of the Colonial Revival style. This explains some of the unusual interior features, such as the vaulted ceilings in the foyer and west sun room, the mission style built–in benches in the foyer and on the stair landing, and the treatment of oak columns in the foyer. On May 8, 2000, construction began on a major new addition to contain ten luxury bedrooms, most with fireplaces and Jacuzzis. The design followed the original of Robert Spencer for the carriage house as a dependency, to which it was connected by a short enclosed walkway. A ribbon-cutting was held on February 5, 2001, thus providing Fairview with eighteen guest accommodations and approximately 25,000+ square feet of heated and cooled space. Peter and Tamar Sharp purchased Fairview in August 2006 and opened a restaurant in October of the same year. The Sharps later completed extensive renovations including the addition of the Library Lounge and 1908 Provisions.